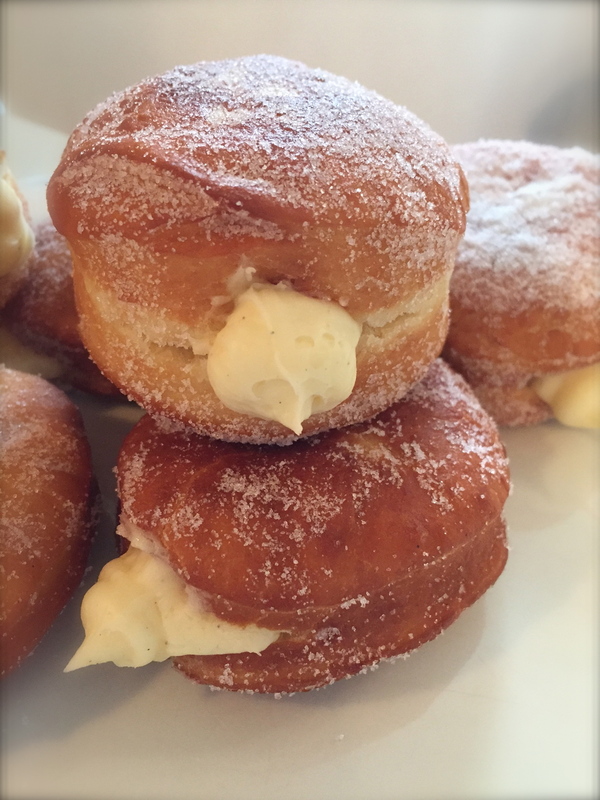 And what better present than warm, homemade donuts filled with a coffee spiked pastry cream. The perfect present- for you, your family, friends, coworkers, the local sheriff, or even a bird named Waldo (May he rest in peace). Sweet, soft and most importantly, filled with coffee flavored pastry cream. Bet you can’t stop at just one. Having never actually made donuts before, We went in with fears of dead yeast that wouldn’t rise, and visions of face melting 3rd degree burns. Luckily, neither of these things came to pass, and this recipe turned out to be surprisingly easy overall. The hardest part, was waiting for the dough to rise. Not quite 25 years… but it sure felt like it. 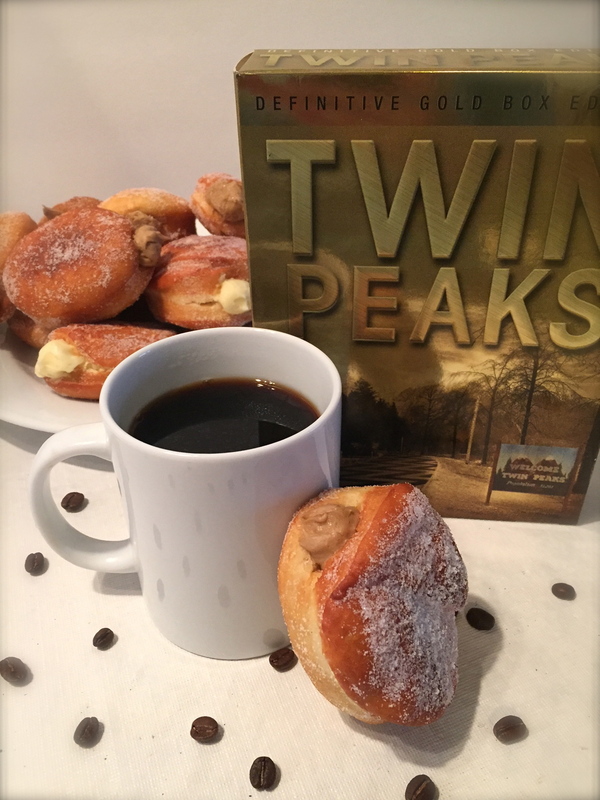 Did we mention the coffee flavored pastry cream?!? Because it’s amazing! 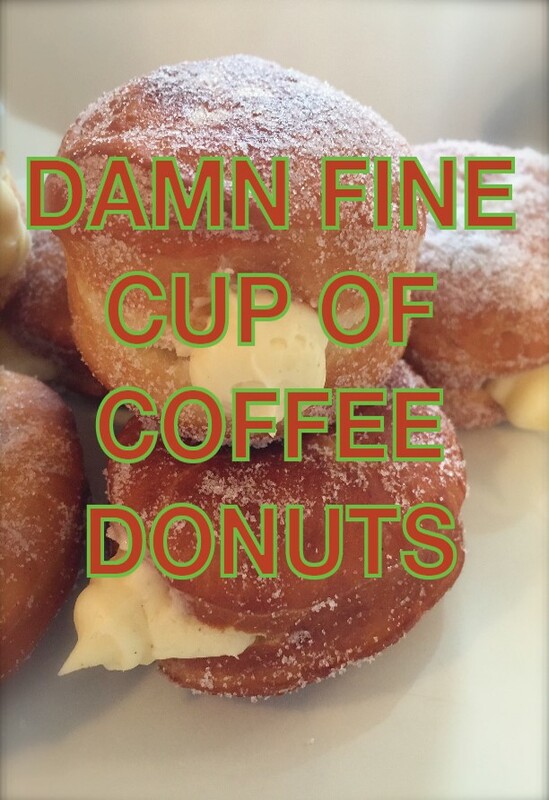 One might even say- damn fine. And… the recipe makes plenty so there’s more than enough to snack on while you’re waiting for your dough to rise. Additional sugar to roll the donuts in. 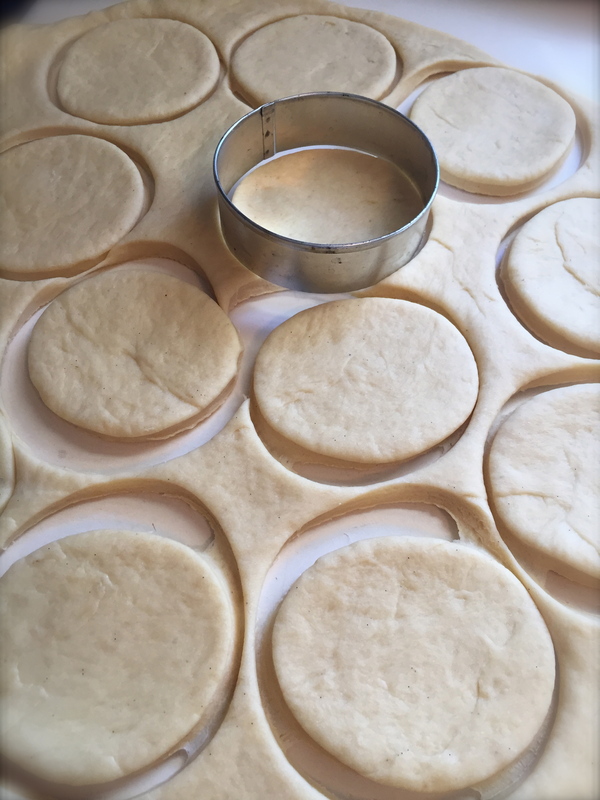 A 3-inch round biscuit cutter, cookie cutter or drinking glass. A cookie sheet, maybe 2. A pastry bag with a long nozzle tip. Begin by making the coffee cream. Dissolve the instant espresso in 2 tablespoons of the milk, and set it aside. In a mixer fitted with a whisk, or with a hand-mixer, beat the whipping cream on high until stiff peaks form. Then run the mixer on low while slowly sprinkling in the pudding powder. Mix until fully incorporated. Add the coffee flavored cream one tablespoon at a time, Mixing in between. Then you can add another tablespoon or two of milk until you reach a good piping consistency. Add more milk if you want a thinner, smoother filling. Store the filling in the fridge while you make the donuts. 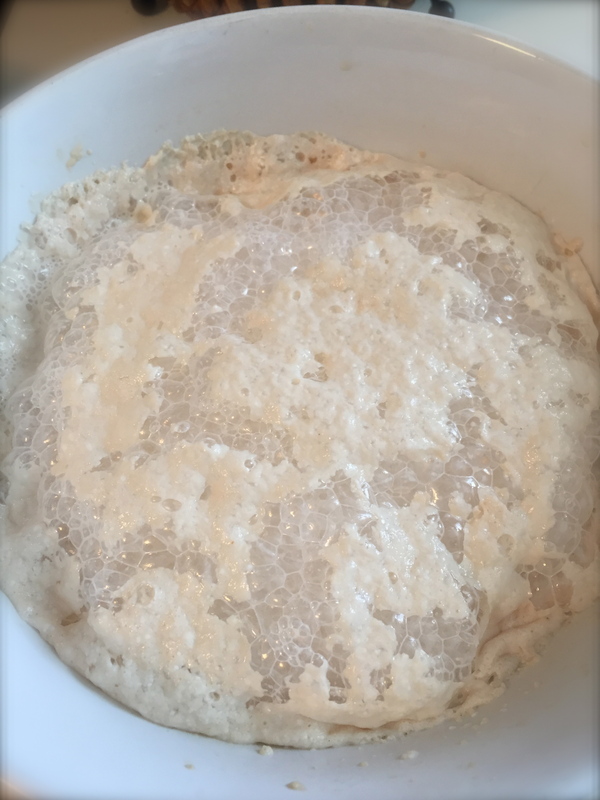 Crumble the yeast into a large bowl and mix with the lukewarm milk (warm in a pan or microwave for about 30 seconds) and a tablespoon of the sugar until dissolved. Cover with kitchen towel and let rise for about 10 minutes. Then add the eggs, egg yolks, remaining sugar, vanilla extract and butter. Sift the flour on top and then mix and knead with your hands until you get a nice, smooth dough. You can also use a mixer fitted with a dough hook. We did both- starting by hand and then finishing in the mixer. Once the dough is smooth, form a ball, cover again with a kitchen towel and let rise for about 30 more minutes in the bowl until doubled in size. Once doubled, roll the dough out on a floured surface to the thickness of about an inch. Cut out rounds using the biscuit cutter, cookie cutter or drinking glass. Then re-roll the scraps and cut again into circles, or make small balls for donut holes. Place the rounds on a baking parchment covered cookie sheet and cover loosely with plastic wrap – let rise for another 30-40 minutes until doubled in size. Heat the oil until you reach a temperature of 350°F. Add some sugar to a small bowl. Carefully add about 3 or 4 of the dough pieces to the hot oil and fry for about 2 minutes on both sides until golden brown. When done, take out and let drain slightly on a paper towel, then roll in the sugar until covered. Let cool on a wire rack. Fry the remaining dough pieces. Take the cream out of the fridge and add to a piping bag with a long narrow nozzle. Cut a small hole in side of the cooled donuts and use the back of a thin wooden spoon to make the opening bigger and to open some space inside the donuts for the filling- then fill this space with the cream. These are best served the same day, but can be stored in a large lidded container in the fridge. Still tasty the next day, but they do deflate a little.